We hope you are enjoying time with your family and friends, ringing in the New Year. We are so excited about things to come in the year and we can’t wait to share them with you. 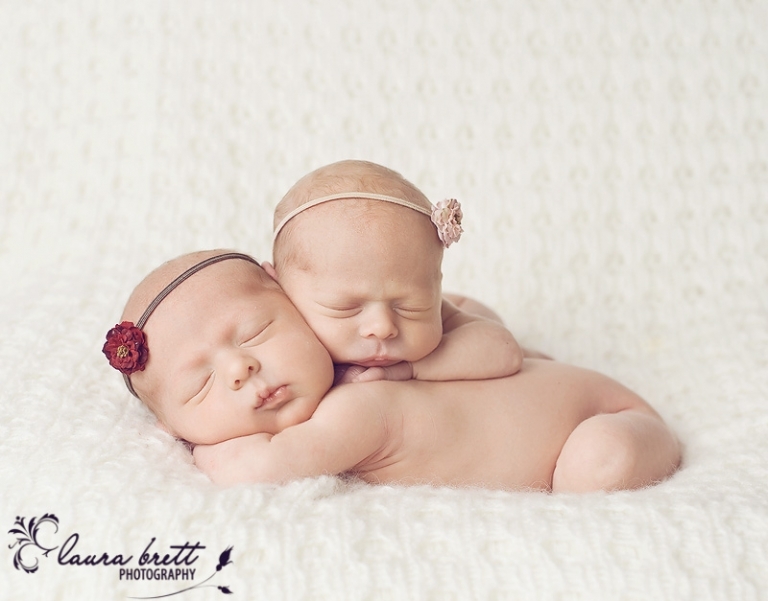 For now, come meet these precious twin girls we had the pleasure of photographing this morning. Laura this is just STUNNING. We LOVE it!! Can’t wait to see the rest of them. OOOOOOOOO… so perfect! Mom must adore you!! They are precious!! I LOVE their little headbands! Can you share where you found them. I have a twin girl shoot in April myself and I can’t wait! Oh my goodness, they are the sweetest little things ever…LOOOVE this!! How cute I just love them.. Love everything about that photo.. Precious.. I love these precious girls. Oh my gosh, this is stunning! AWWWW!!! They are so so so sweet! Love the pose Laura! This is just the most perfect shot Laura,great job..I hope mom gets a HUGE one for her wall,I would!! LOVE this photo!! What adorable little girls!! LOVE! Can’t wait to see the rest! O.M.G. How did you manage to capture something so glorious? You are one amazing photographer. Love it! This is absolute PERFECTION!!! They are beautiful and this photo shows their sweetness! I hope this is ordered as a huge canvas!!! Oh my goodness! How darling is this shot?!? Great work! I have nothing but LOVE for this image. It’s perfect!! Looking forward to visiting your lovely blog often. This is just beautiful!!!!!! Great work! They’re adorable! Great job, Laura. These are all so beautiful!! Love them all! Thank you to all of our wonderful clients and friends for making this another wonderful year at Laura Brett Photography. We can’t wait to share all the new and exciting things to come in 2010′. So with our final post of the year, (well we say our final) we have a few mamas due in a couple of days – Here’s to a New Year! 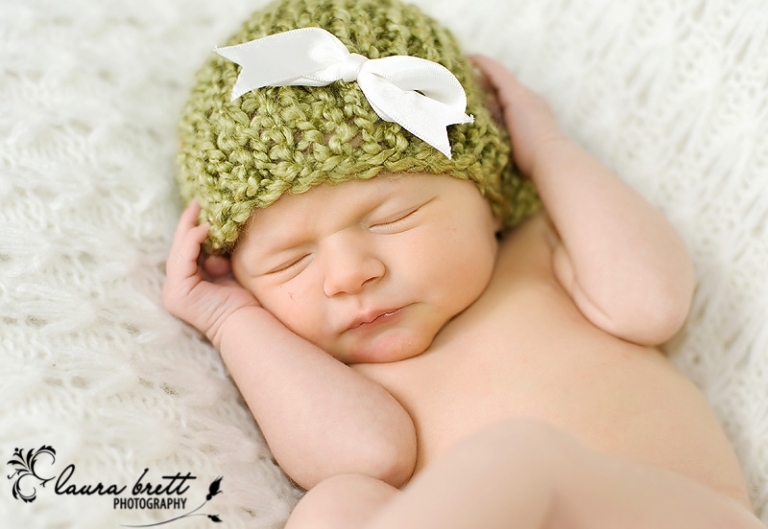 Now what would a post be without some beautiful babies that we had the pleasure of capturing this week. It’s been busy this week with all the new arrivals. All wonderful….LOVE the daddy/baby shot! These are beautiful! The black and white of dad and baby gave me chills. Beautiful! What perfect captures! Love daddy and baby! Love these pictures! I love that basket and the blanket in it. Absolutely beautiful! Love the cheeks on last baby. these are beautiful. Absolutely stunning! Laura, that first image is soooo divine. I think I can see the heel prick on her foot! Precious! I love the pink blanket (open eyed) shot as well. These are heavenly. These are so beautiful Laura. 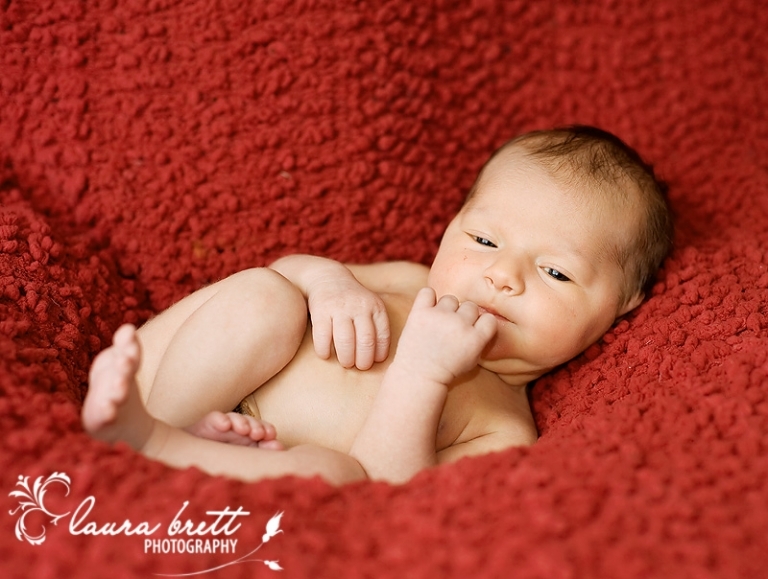 You are a talented newborn (and everything else) photographer!! Beautiful babies! Amazingly beautiful work. Love them all! Love these, Laura!!! Absolutely gorgeous!!!!!! Such beautiful work, Laura. Merry Christmas!! Great way to end a great year. Can’t wait to see what 2010 brings you! Beautiful images. Absolutely beautiful, Laura. Happy Holidays to you also! Beautiful work as always Laura! What beautiful images. Great work!! Have a wonderful Holiday and new year. Beautiful as always!! Happy Holidays! These are gorgeous! I especially love the emotion in the photo with Daddy, so sweet, you can feel the love! Beautiful! You are so talented! Lucky the parents are to have these of their little ones! Babies are true miracles, and you’ve captured each in their beautiful light! SO LOVELY! Great pics Laura…they are ALL amazing!! Love this pic with the hat! Beautiful shots! Wow, I love absolutely all of these! Wow.. Wonderful work.. love the daddy/baby shot.. Great capture.. Just perfect.. Wonderful images! Love the shots with the bayb so alert! awww these are all so soft and sweet! Gorgeous lighting too! Beautiful work!!!! Love all of them! Your children are absolutely gorgeous!! These are just gorgeous! I LOVE that pink blanket! Beautiful work! Beautiful images! The last one is my favorite though! a d o r a b l e ! you are one talented woman! Laura…your work is just growing and growing by the day. Truly beautiful. I love the one of daddy and baby the best. So much emotion in that one shot. I am sure 2010 is going to be outstanding for you. Stunning – I esp love the one of father/baby. Just one for now of this beauty…stay tuned to meet her and all her sweetness. She is gorgeous. Beautiful conversion. Oh, I love this, stunning processing! What a gorgeous babe! I love this image! Awww, adorable! Love this in b&w. Such a sweetie! Can’t wait to see more.